So along with writing software and expressing my opinions about systems architectures. 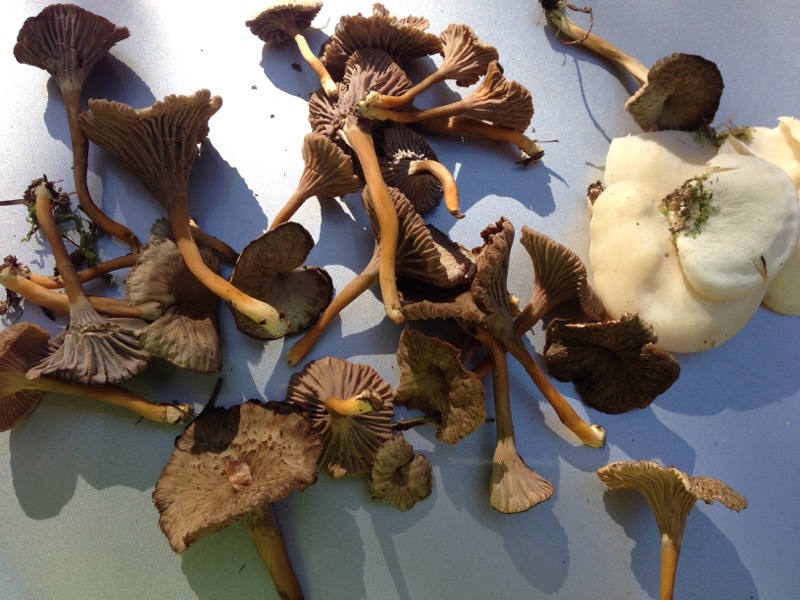 I also love to hike and hunt for wild edible mushrooms. This year I found some pretty great stuff in MA and NH. Here is a quick rundown of what I found this year. The omelette I made with my share. 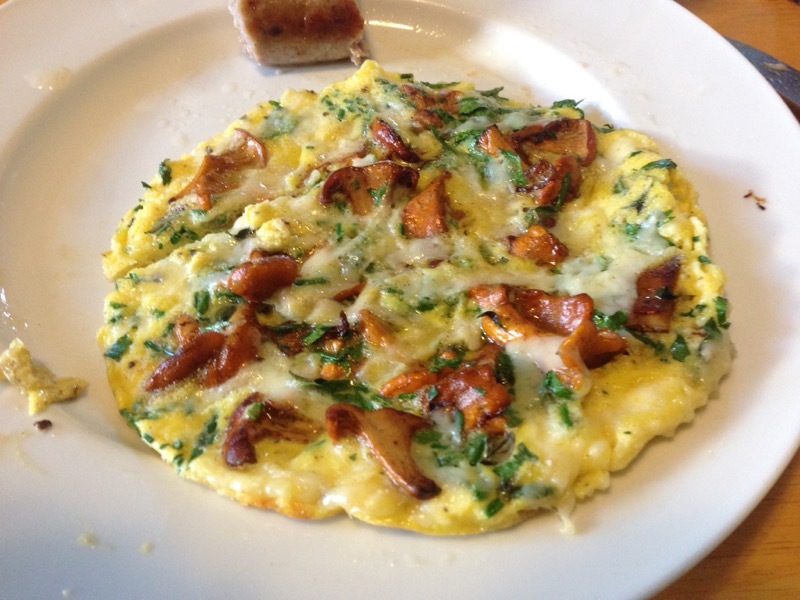 Eggs, parsley, gruyere cheese, and of course lots of chanterelles. 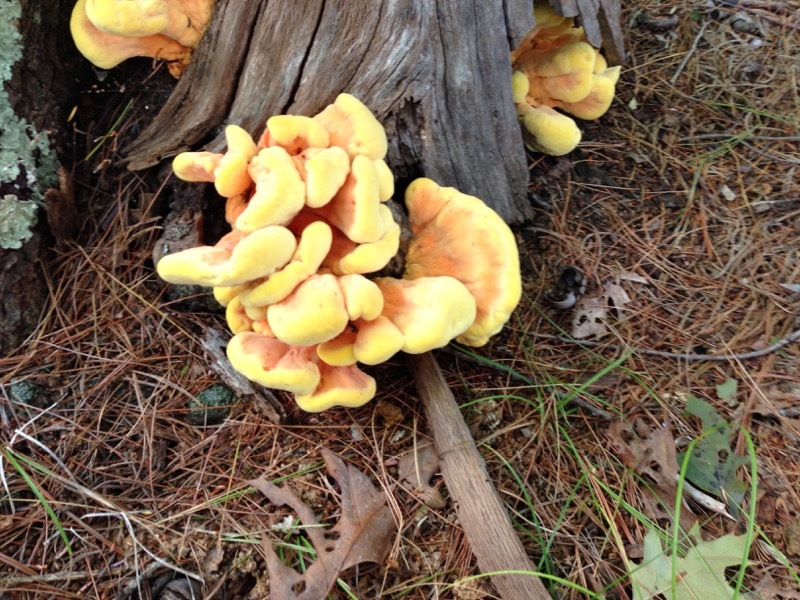 Here we have some laetiporus sulphureus I found in the woods near my house. Cooked in butter and salted nice made for a tasty snack. I have no idea, could be but I didn’t chance it. Another choice mushroom I found in some woods near my house. This was far and away the best mushroom I found all year. 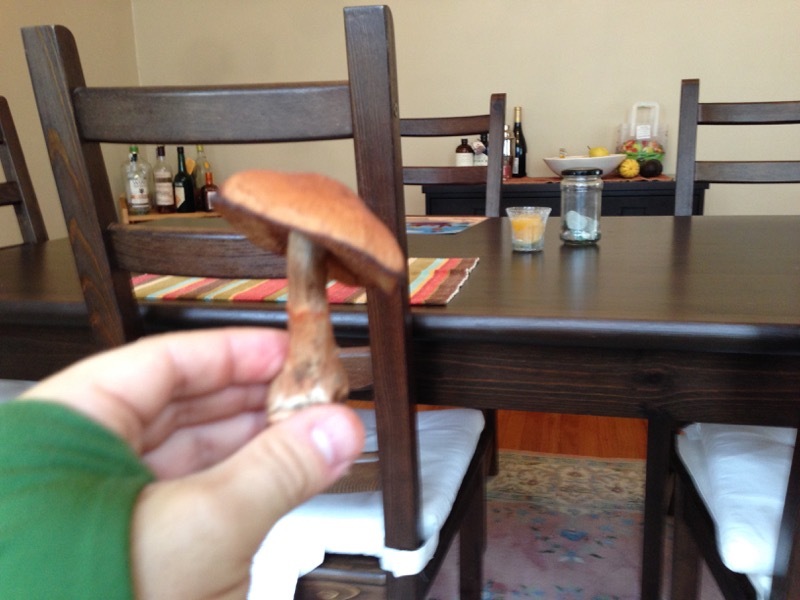 The entire mushroom was edible and it was delicious. 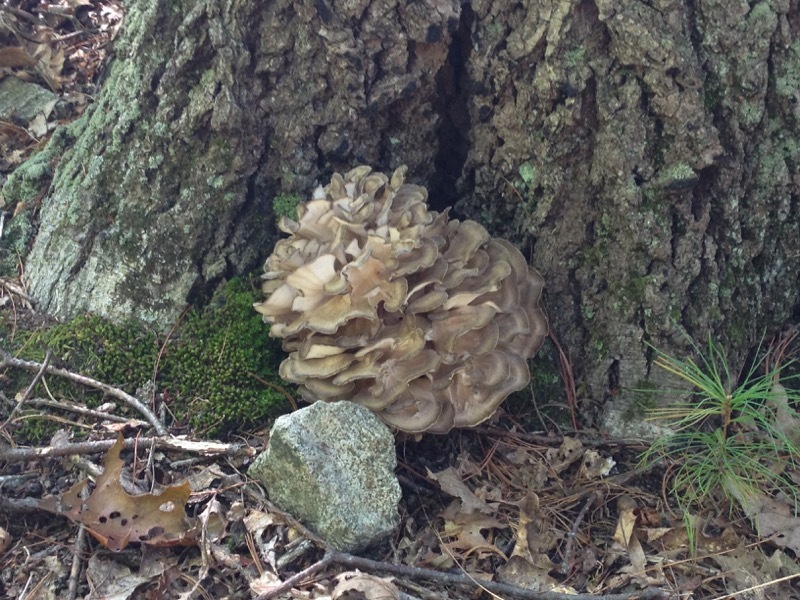 Luckily Hen of the woods tend to come back in the same spot year over year, so I will be going back next year. 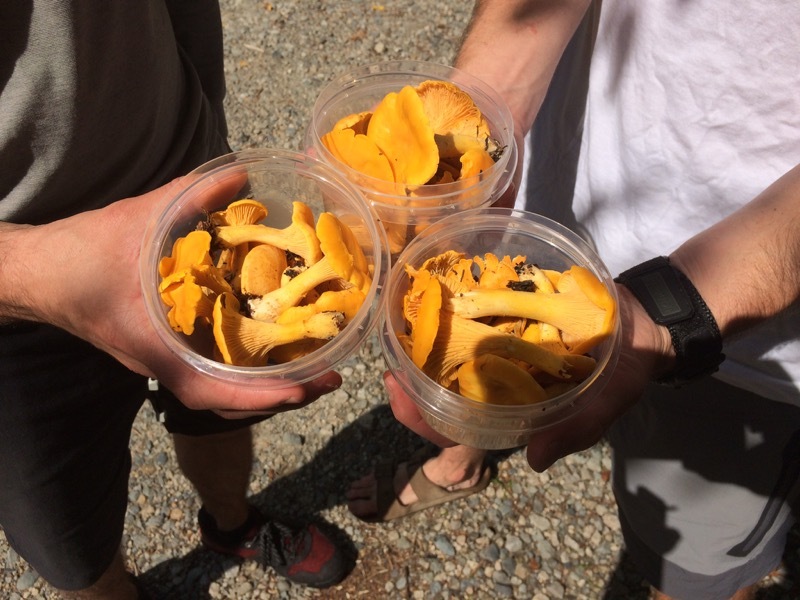 Another hike with friends I stumbled across a different kind of chanterelle. I wasn’t expecting to find anything because of the dry weather. But we came upon a mossy section of the woods and there were tons of these little buggers. The most interesting thing about these were the smell. They had a pretty rich aprioct smell and tasted pretty fruity as well. Here is me from a nice lookout point on the mountain during the same trip.